Ties in Northern Mali are Complex, Murky, and Dirty! The Malian government and northern Malian armed groups reached a peace agreement in June 20th, 2015. However violence between opposed and loyal movements continued. Tensions reached an all-time high when pro-Malian militia, the Self Defense Group Tuareg Imghad and Allies (GATIA in French), came as close as a few miles from the Tuareg Ifoghas stronghold of Kidal. In fear of escalation, the Multidimensional Integrated Stabilization Mission in Mali (MINUSMA) went so far as establishing a security zone around the city indicating the severity of the situation. While many media outlets perceived tensions as tribal, it is more complicated than that. Control over drugs trafficking routes appeared to be one major factor as small planes carrying cocaine reportedly landed in northern Mali in March 2015. In addition, the Coordination of Azawad Movements (CMA in French) was witnessing major political dynamics between its own groups. The situation in northern Mali is complicated and shifting alliances are common during transition from conflict to post conflict stage. The meetings held in Anéfif, Mali in recent weeks that aimed at ending violence included influential leaders from the Malian government and military, members of armed groups supportive and opposed to the central government, former members of jihadist groups, and well-known drug traffickers. On 09 October 2015 the Ifoghas Tuareg reached an agreement with both, the Imghad Tuareg and Lamhar Arabs. The Idnan Tuareg and Lamhar Arabs on the other hand did not reach an agreement until five days later, on 15 October 2015. Negotiations about the strategic transit hub for licit and illicit goods, In-Khalil, was a key sticking point and the main hurdle towards reaching an agreement sooner between the two clans. Other Tuareg and Arab clans also agreed on ending hostilities and allowing free movement of goods and people. Despite the participation of members representing armed groups such as CMA and GATIA, the meetings were focused on reaching agreements between different communities. This could justify the participation of local notables and tribal leaders from the region. Furthermore, leaders that signed the final agreements were representing their respective tribe, clan, or community [see image 1]. It is unclear how optimistic Malians and the international community should be about this agreement. These agreements appear to be designed to serve each community individually and not the population of northern Mali as a whole leaving local communities divided and vulnerable to further tensions. Northern Malian communities continue to be represented by leaders and individuals with the history of being involved in activities, such as corruption, terrorism, and trafficking. In addition, the Malian government plays a dangerous game again by relying on divisions among northern communities to control uprisings. The timing and the circumstances of these accords show how complex, murky, and dirty the ties are in northern Mali. The Ifoghas Tuareg are a noble Tuareg clan, and this supremacy is unlikely to be impacted by this agreement. Although it is unclear the degree of involvement of Ifoghas fighters in clashes with GATIA, the Ifoghas Tuareg have their own reasons to reach a deal with their rivals, the Imghad Tuareg. Ifoghas leaders within the CMA have been amenable to the peace accord recently signed with the Malian government while the National Movement for the Liberation of the Azawad (MNLA) leaders were reluctant. The Ifoghas Tuareg has the experience to play their cards right and been constructively working on positioning themselves during and after the negotiations with the Malian government. Throughout 2012, for instance, most of the Ifoghas’ leaders, including Alghabass Ag Intallah and Cheick Ag Aoussa allied themselves with Iyad Ag Ghali and his group Ansar Al-Din. Ansar Al-Din led by Iyad Ag Ghali enjoyed a cozy, close relationship with al-Qa’ida in the Islamic Maghreb (AQIM). Soon after the French intervention in January 2013, Ansar Al-Din leaders, led by Alghabass and Ag Aoussa, quickly distanced themselves, at least publicly and for now, from Ag Ghali. By the end of January 2013 Alghabass and Ag Aoussa announced the creation of the Islamic Movement of Azawad (MIA) before changing the name to the High Council for the Unity of Azawad (HCUA) later on. Instead of being arrested for being members of a group that collaborated with AQIM, Ifoghas Tuareg leaders are signing historic deal with Imghad Tuareg represented and led by a Malian general, Hajj Ag Gamou. The Malian government does not see any inconvenience in working with the Ifoghas Tuareg, again, by relying on Hajj Ag Gamou and Imghad Tuareg in general as long as it leads to marginalizing the MNLA. Since its creation in late 2011, the MNLA have been northern Mali’s main group pushing for a political status for the north, something the Malian government and international community are not willing to accept. For instance those following the issue closely could notice that the only person speaking on behalf the CMA lately is Almou Ag Mohamed of the HCUA, the group representing the Ifoghas within the CMA. Mossa Ag Attaher, an MNLA spokesman, publicly on social media announced his intent to distance himself until tribal divisions manipulated [according to him] by the Malian government are resolved. While Mossa Ag Assaghid, another outspoken MNLA member continues to renounce on social media the peace agreement signed between the CMA and the Malian government. Furthermore, CMA forces, notably those of the MNLA have been left defeated, weakened, and spread across northern Mali, unable to challenge rival group, GATIA. The Malian government is satisfied with the outcome and it’s not important how it’s done because relationships in northern Mali are complex and multilayered. Additionally, it appears that deals were not made only in the north but in Bamako too. Since Mohamed Ag Intallah [Alghabass Ag Intallah’s brother] took over the Amenokal [supreme leader] position of the Tuareg in northern Mali, according to local sources he has been basically living in Bamako, Mali instead of Kidal. This suggests he was constantly working with the Malian government, specifically with President Ibrahim Boubakar Keita (IBK) on striking a deal and weakening MNLA leadership. This is another attempt by the Ifoghas to position themselves, as they have done so often, to benefit as much as possible from the advantages that come with the peace accord and post-conflict resolution. This approach seemed to serve the Malian government perfectly by sidelining the inexperienced leaders of the MNLA. History is repeating itself. Relying on tribal tensions and competition is nothing new and is a time-tested instrument used by Malian leadership to manage rebellion conflict in northern Mali. In 2006 and 2007 the Malian central government exploited tensions at the time ironically between the Ifoghas and Imghad to counter the rebellion mainly led by Ifoghas and Idnan. The leadership in Bamako formed a convenient alliance with Imghad Tuareg, Bérabiche Arab, and Lamhar Arab tribes. This sounds so familiar a decade later since the same tribes are the backbone of GATIA created by the Malian government in the summer of 2014 to counter the CMA. Not only do armed groups shift alliances but also the Malian government does. Prior to the 1990’s the Malian leadership relied on the Ifoghas to manage Tuareg rebellions in the north. However in 2006-07 the Malian government engaged Imghad Tuareg and Bérabiche Arab when Ifoghas Tuareg became unreliable and no longer able to keep Tuareg rebellion at bay. However, engaging these militias in the north came at a cost, often these militias were allowed to engage in criminal activities such as drug trafficking while the Malian government turned a blind eye as a form of repayment. Relying on unpredictable militias in the north will only lead the Malian government to continue losing control of the north as it did in 2000s allowing jihadist groups and criminal networks to settle and prosper in the region. Drug trafficking remains a key factor for finding a permanent peace in northern Mali. The rise of the cocaine trade in the region made the relationship between all actors, government, armed group leaders, notables, and businessmen really complicated. Individuals that are supposed to be in jail because of their involvement in the biggest drug deal to take place in the region, and maybe in Africa remain free and even influential. Worse, Haroun Ould Ali, a well-known drug trafficker that was involved in Air-Cocaine was the one that signed the peace agreement on behalf of Lamhar Arab with the Ifoghas Tuareg [see image 2]. Furthermore, he is likely involved along with others present at Anéfif meetings with the small cocaine airplanes that landed in northern Mali in March 2015. Another nefarious actor, Mohamed Ould Mataly often speaks on behalf the Malian backed militia GATIA. Ould Mataly enjoyed a cozy relationship during the occupation of Gao with the jihadist group, the Movement for Unity and Jihad in West Africa (MUJWA). MUJWA terrorized the local population in 2012 by applying harsh version of shari’a law, and continues to do so by killing civilians and peacekeepers. The list is long and diverse of those involved in drug trafficking yet are free and enjoying a luxury life. The list includes the former mayor of Tarkint, Baba Ould Cheick, businessman Mohamed Ould Awainat, politician Mohamed Ould Mataly, and former MUJWA member Yoro Ould Daha. In other words, an elected official, a politician, a businessman, and a criminal. All have different backgrounds, yet all have common interests and collaborate. Once the security and political situation stabilized in northern Mali, hundreds of millions of dollars from the United States (U.S) and European Union (E.U) countries will be poured into Mali to rebuild the north. A chunk will indeed be spent the right way to rebuild schools, health centers, markets, and roads etc. However it is highly likely, if not certain, chunk of this money will end up in the hands of individuals mentioned above and others, including armed groups leaders, military officials, elected officials, and notables. There is a certain degree of expectation from these personalities to benefit from the money that is supposed to save the life of families struggling to survive in the region. The accord might solve some short-term problems but it will not eliminate factors leading to instability. This agreement shows how entangled the ties are in northern Mali. Failure to resolve the northern Malian conflict is the combination of corruption, crime, and terrorism. Complicated or not, failure to take those responsible of committing crimes to justice has destroyed northern Mali. Civilians are paying the heavy price of relying on leaders that are after their own gain. 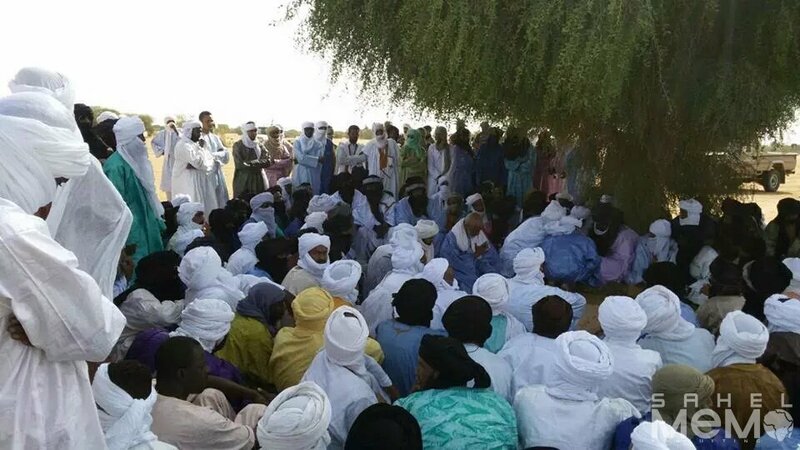 The local population in northern Mali want to see justice, but when justice is not applied and actions are not taken against drug traffickers, criminals, corrupt officials, and war criminals the wrong message is being sent to local youth. Going through the same cycle is the likely outcome. You told many things and let many things about this war. You can only cover so much in a short essay! This was just about the Anéfis accord!